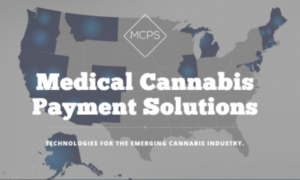 Medical Cannabis Payment Solutions’ (OTC: REFG) Green platform, a top tier digital payment processing system, is designed to bring legalized cannabis and its cash management for licensed merchants and dispensaries into the world of digital financial services. Among its key advantages are the money management system and the simple signup feature for consumers. Not only is it FinCEN-compliant, Green offers both merchants and customers an enticing platform to manage money for sellers and financial services for buyers. For merchants, it can be integrated with most any existing point-of-sale system. Recurring billing for consumers can be set up, as well as money management features such as payroll. Green also offers ease of digital payments, tracking of customer sales and even internal payments. For consumers, the platform is easy to join for purchasing legalized cannabis products from licensed merchants or dispensaries, even using cryptocurrency, if desired. REFG has partnered with First Bitcoin Capital Corporation to ensure acceptance of virtual currencies (http://ibn.fm/uFKfo). To create loyalty and drive repeat purchases, REFG can even brand its Green cards with the merchant’s name and logo. This entry was posted in Medical Cannabis Payment Solutions REFG on March 14, 2018 by QualityStocks.